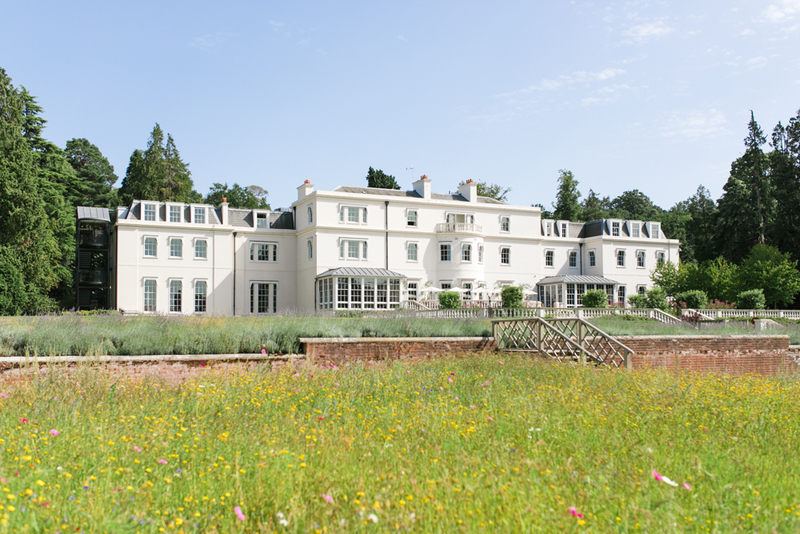 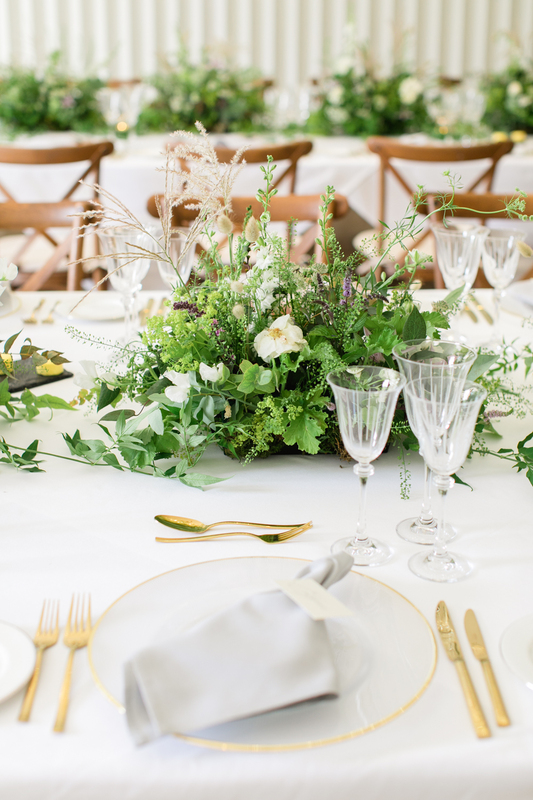 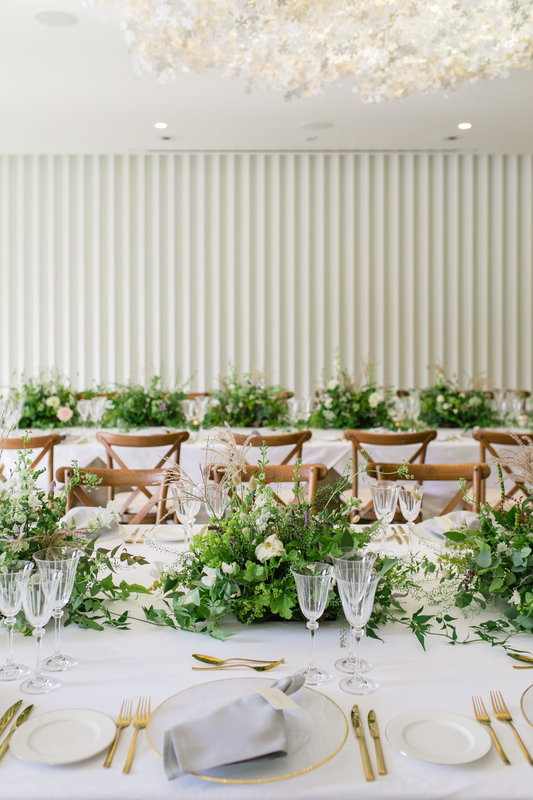 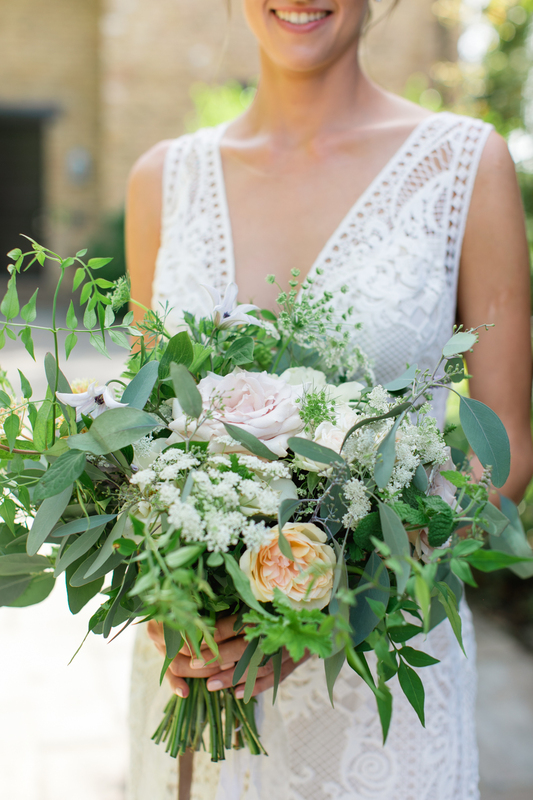 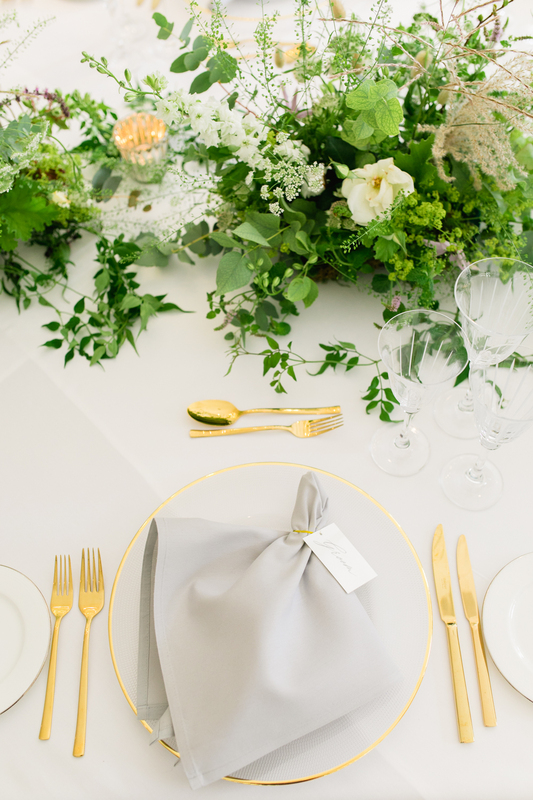 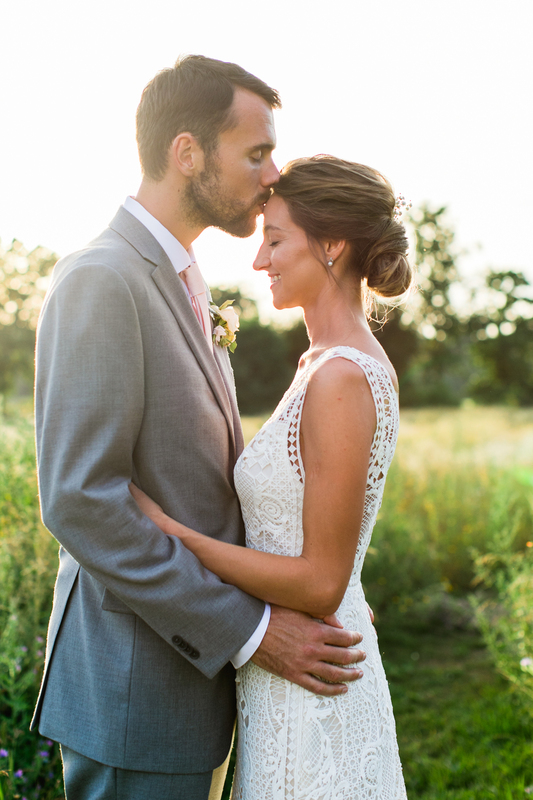 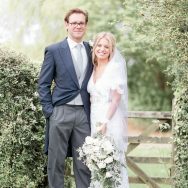 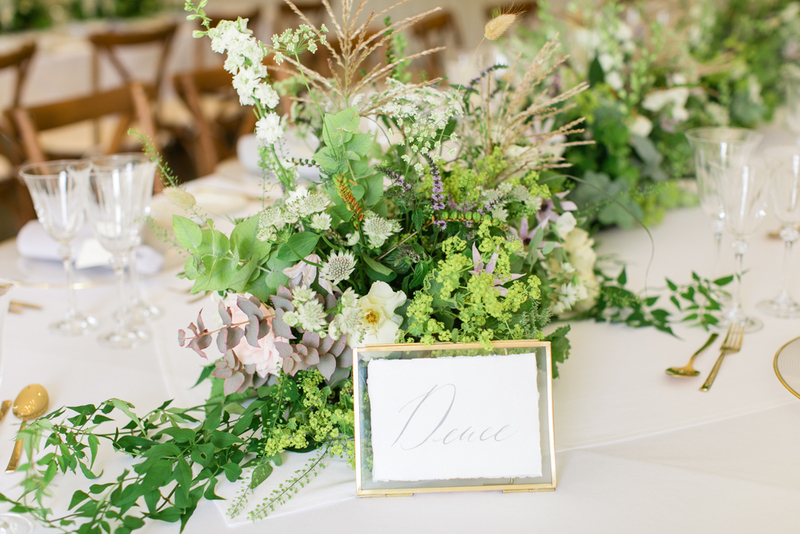 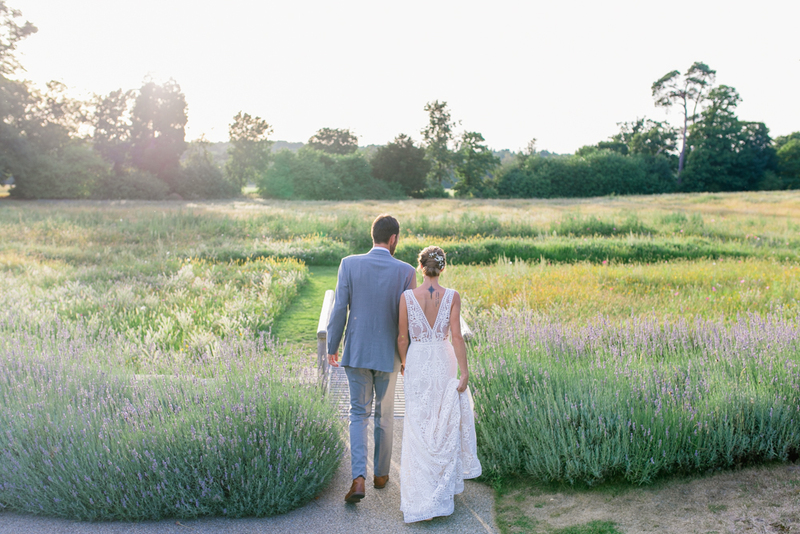 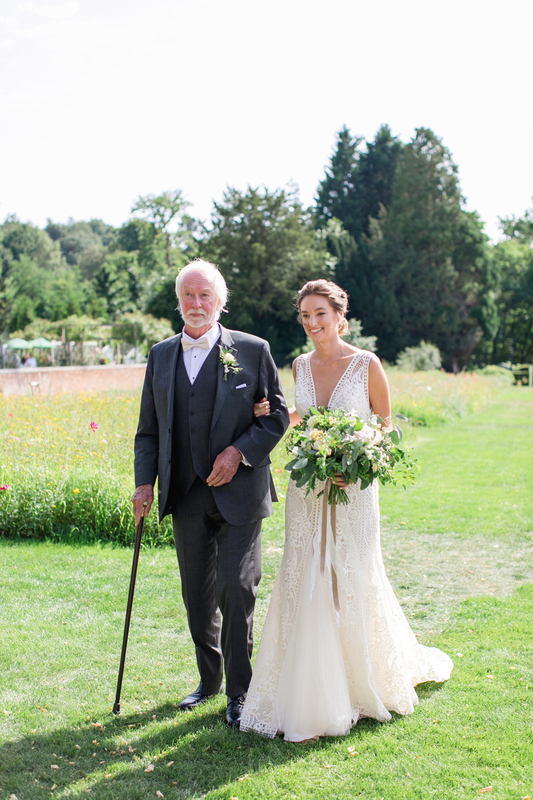 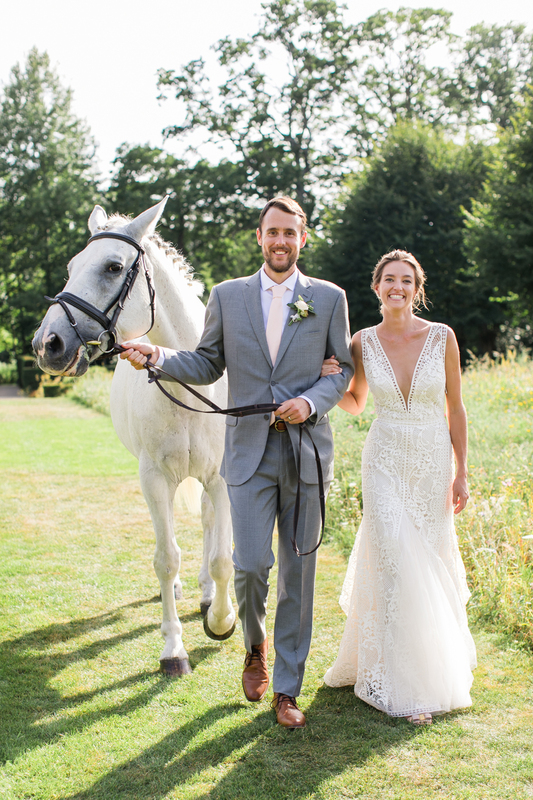 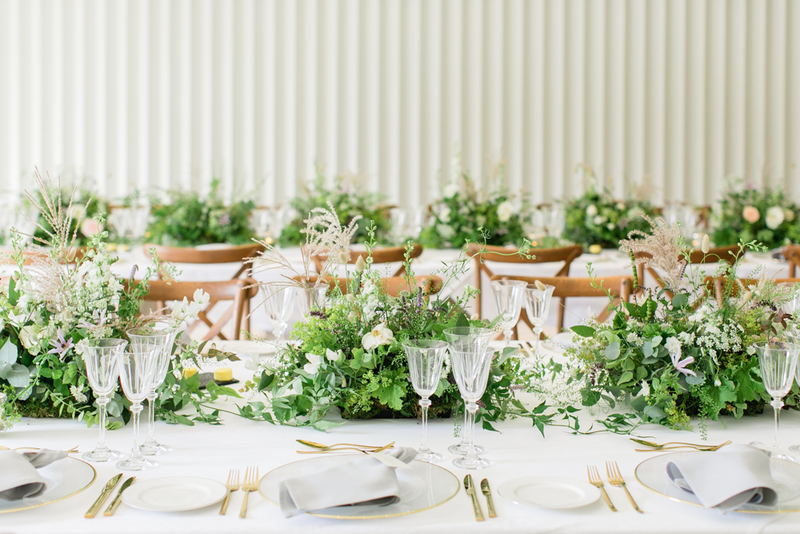 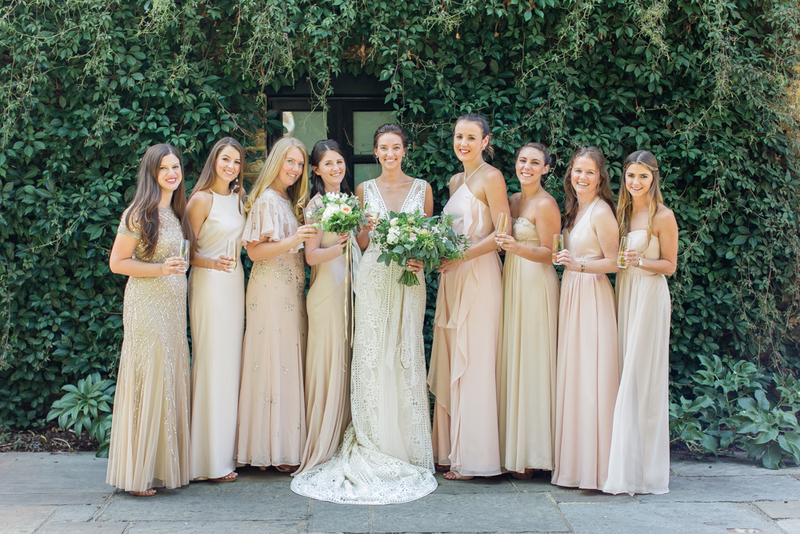 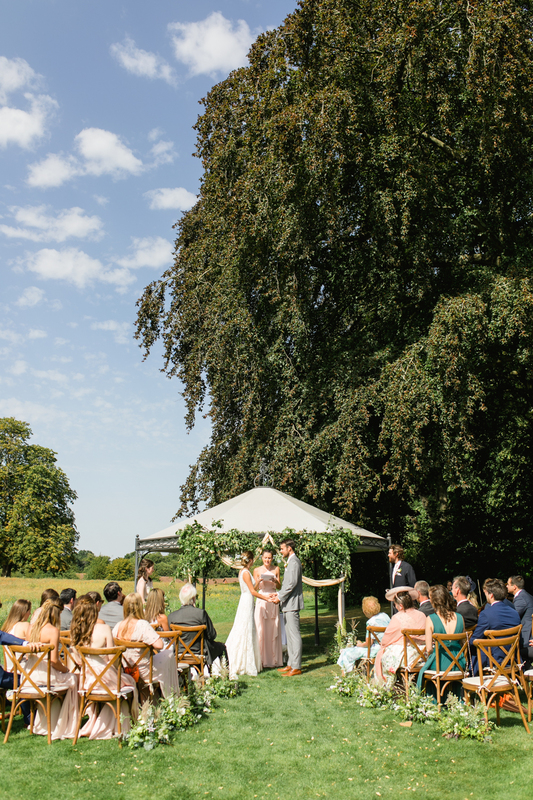 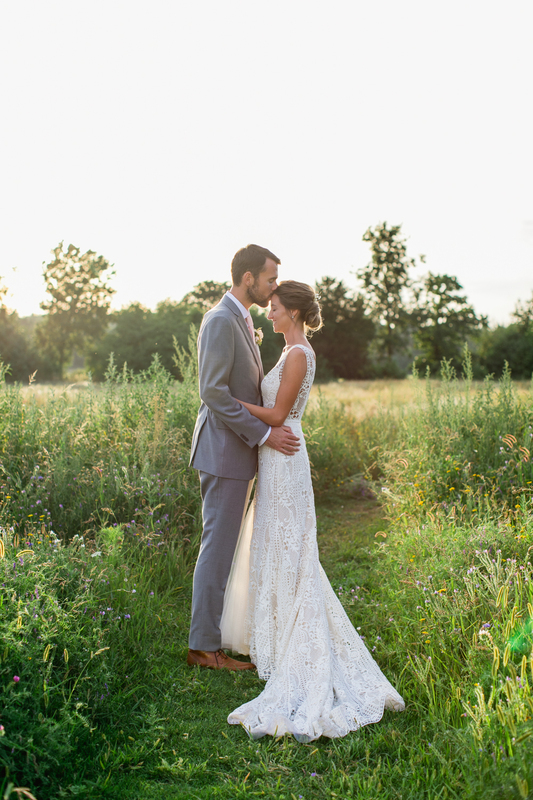 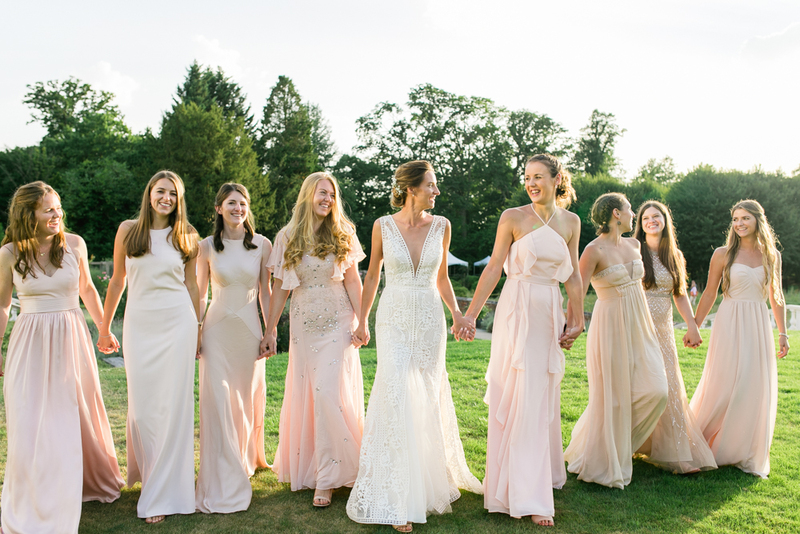 Julianna and Darren’s English wedding was set against a backdrop of bucolic meadow on the grounds of Coworth Park, a romantic Berkshire hotel and resort. 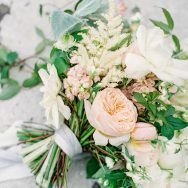 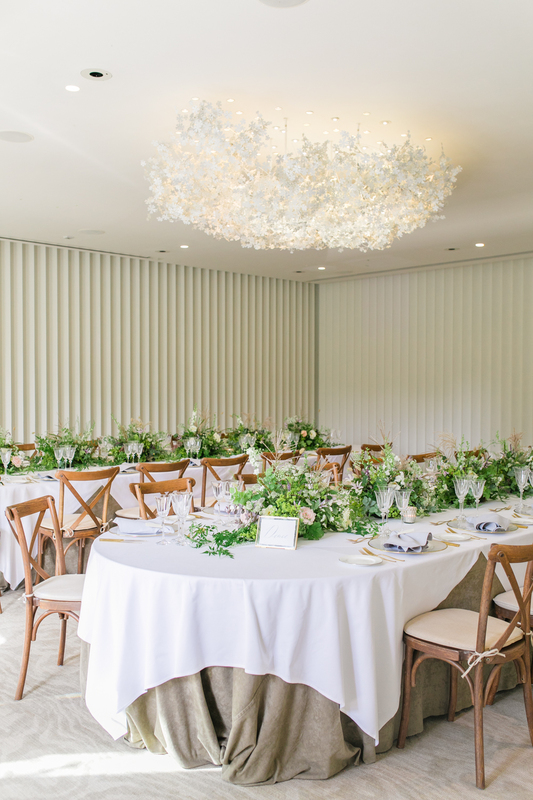 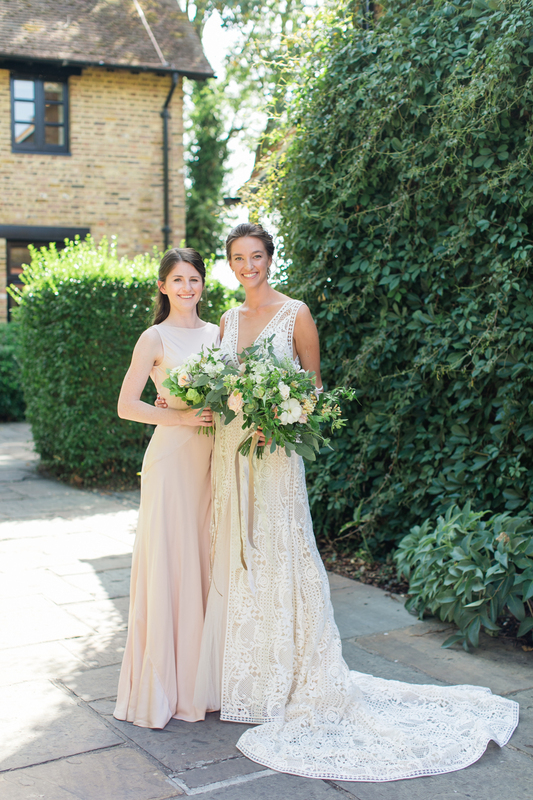 Planner and stylist The Bijou Bride, assisted the lovely couple in creating a day filled with sunshine, joy and a visual spectacle of wildflower floral arrangements by Blue Sky Flowers. 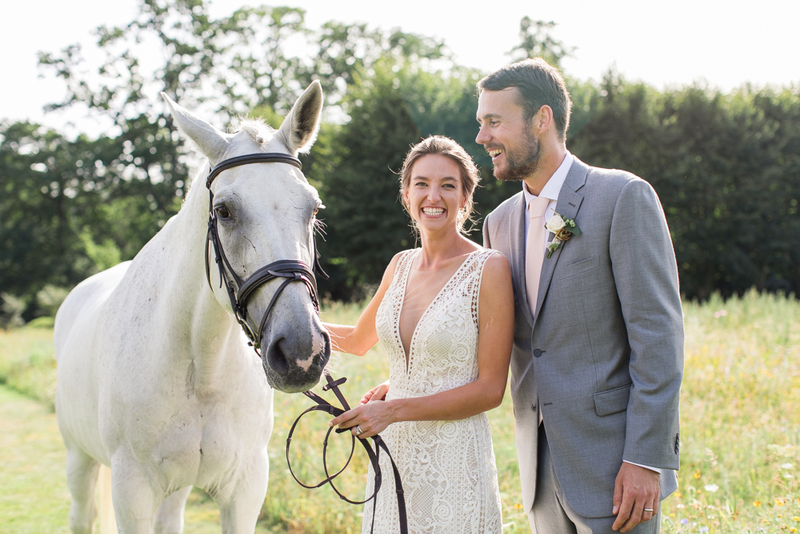 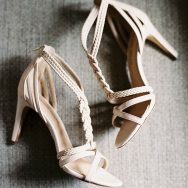 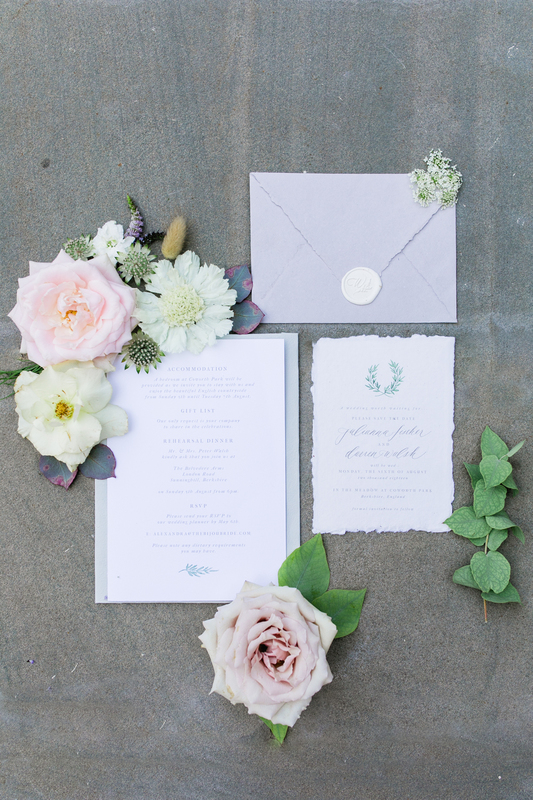 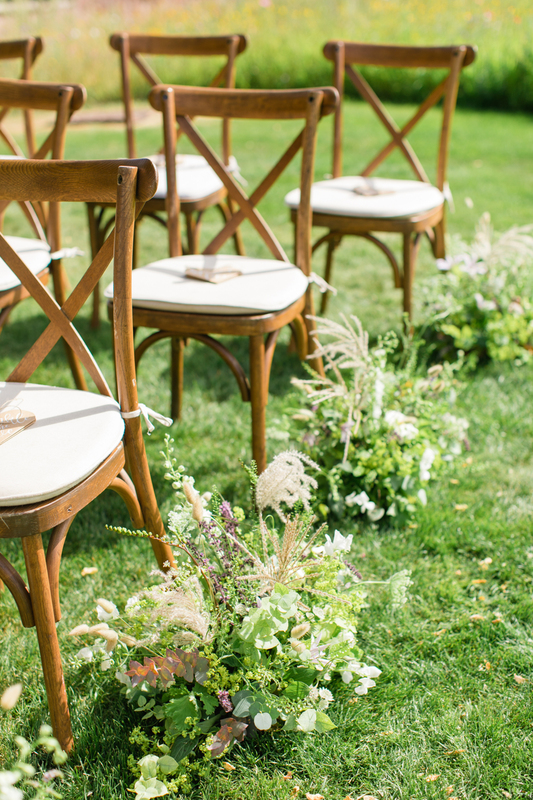 Personalized details include the clever table names like “Deuce & Advantage”—a nod to the groom’s professional tennis career—and custom cocktails like “Pete’s Punch” and “Horny Goat” after their pets. 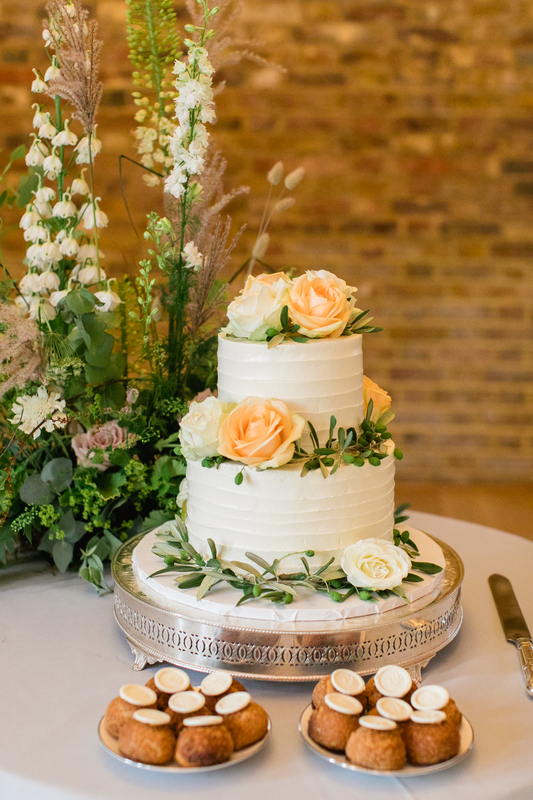 Classic stationery was by EG Lettering with cake and desserts by Gaya’s Cakes, and lucky for us, Roberta Facchini Photography was on hand to capture all the delightful details in these bright and cheery images.